After successful screenings at festivals across the globe, Supermen of Malegaon is slated for theatrical release in India on June 29, 2012. The film has had an extraordinary journey since the idea was first mooted but its biggest hurdle was securing a theatrical release in India, which has now been achieved. 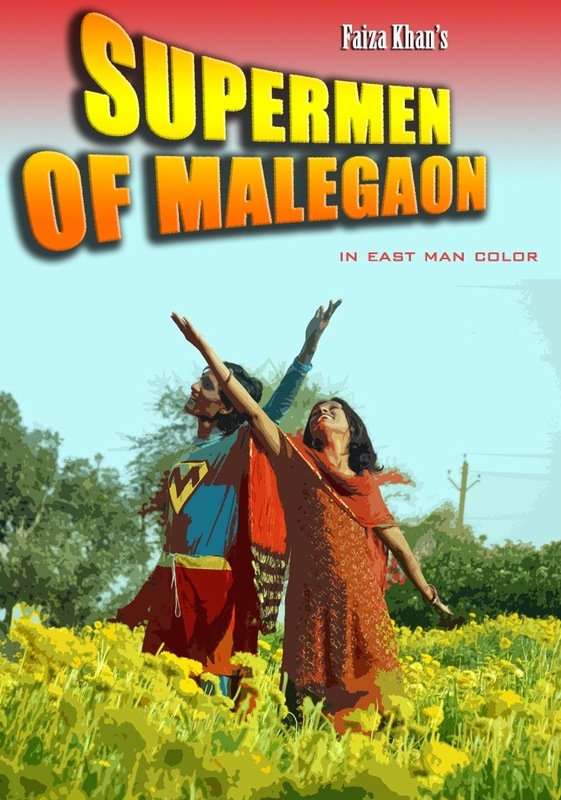 Supermen of Malegaon is a documentary that captures a motley bunch of cinema fanatics in Malegaon, Maharashtra who remake Bollywood and Hollywood films on miniscule budgets, which they shoot, star in and screen for their local audience in Malegaon. This time, they take on the challenge of making Superman. The film follows them on this journey-at times funny, tragic and contemplative. Supermen of Malegaon took off when Director Faiza Ahmad Khan, along with co-producer Gargey Trivedi & Siddharth Thakur, won the Asian Pitch in Singapore. The Asian Pitch is organised by Mediacorp in Singapore, NHK in Japan and KBS in South Korea. Several directors were invited to pitch their subjects, and Supermen of Malegaon was one of the three films that won the Fund. The film was made over seven months. It picked up its first award in Rome, at the Asiatica Film Mediale, where it won the Jury Prize for Best Documentary. Subsequently it has been screened at over thirty prestigious international film festivals including Silverdocs and Full Frame Documentary Festivals in the US, the Karlovy Vary in Czech Republic and IFFI in India, and has won 15 awards for its crew. On the occasion of the release, Director Faiza Khan said, “The film has had an extraordinary journey so far and we’re sure that will continue with its run at the cinemas. Every single screening that we’ve had has been tremendous in terms of the audience engaging with the film -from a screening under the stars in the Narmada Valley for over a thousand to the most recent ‘house full’ Vikalp screening at Prithvi. There is an audience for these films. So what if it is small as compared to an audience for a Bollywood film? We’re not even looking to compete. What we need is many spaces within this larger space for many kinds of films- documentaries, regional, experimental, to exist. There is huge appreciation for our films abroad, and we’re hoping that the audiences here will respond is the same way”. The film was crafted by an immensely talented group of people, some of whom are rising stars in the industry in their own right. Sneha Khanwalkar and Hitesh Sonik, who did the musical score for the film, have projects like Oye Lucky, Lucky Oye, Gangs of Wasseypur, Kaminey and Omkara to their credit. Shweta Venkat, the editor, has edited Gangs of Wasseypur and That Girl in Yellow Boots. Gargey Trivedi who co-produced Supermen… and was the cinematographer, shot My Friend Pinto. Niraj Gera, Sound Designer for other award winning films like Valu has been a part of Supermen of Malegaon as well. Youth Choice Award at Vesoul Asian FF. Malegaon, a small town tucked away near the heart of India geographically, is fraught with communal tension and under economic depression. To escape the harsh reality of their world, its people seek refuge in the fantastical world of cinema. This passion for cinema has spurred a group of cinema enthusiasts to make their own films-quirky, low budget, socially aware and notoriously funny spoofs of Bollywood films. Their ambition has grown and now they are ready to take on Hollywood and Superman. We follow them on this journey. At times funny, tragic, contemplative. Always warm and engaging. And as the film begins to take shape, through schemes and approaches that are sublimely ingenious, simply bizarre and purely hysterical, we also slowly discover Malegaon itself. The film is a tribute to a spirit that can never be vanquished, the spirit that enables the Supermen of Malegaon to make Malegaon’s Superman.